Freshly updated for the Fall of 2017 the Alpinestars Atem receives a welcome face lift and some worthy upgrades. Still remaining towards the top of the food chain just below the GP Tech, the newly updated Alpinestars Atem v3 Jacket falls in at the $699.95 price point; a whopping $100 less than the previous iteration. So right now you are thinking to yourself, "Okay it is $100 cheaper than last year's version. What are we losing?" The answer surprisingly is that you are actually gaining features. The V3 received some welcome stylistic revisions which clean up the looks in my opinion. Along with that the jacket received reworking of stretch materials which now span across the chest allowing for better maneuverability of the arms. They have also incorporated longer accordion stretch panels on the back that make leaning over in the riding position an easier task. Gone are the old style shoulder DFS panels in favor of the new softer durometer protectors with ventilation. You gain more range of motion, equal protection, and a bit more ventilation. The collar has also been slightly downsized and lined with microfiber for comfort and the 3D mesh inner liner has been expanded to cover a larger area for better airflow. 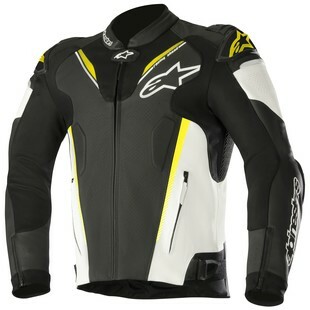 Altogether the improvements made to the Alpinestars Atem V3 actually warrant a price increase rather than a price cut. Alpinestars made some smart upgrades and the V3 is sure to remain a staple of sport riders especially at its new more accessible price point.